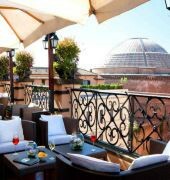 Hotel Invest Italiana Real Estate (Formally Grand Hotel De La Minerve) is a 5-star accommodation housed in a 17th-century mansion in the historical center of Rome overlooking the Pantheon. Guest rooms are air-conditioned and equipped with satellite TV, minibar, electronic safe, WiFi access and a private bathroom with tub and shower. Dining options include 2 restaurants featuring a roof garden serving Italian and international dishes. In addition, the bar offers a variety of light snacks and beverages. Other amenities include a fitness room and meeting facilities. Attractions in the area include the Piazza Navona, Trevi Fountain, Vatican City, Venezia Square and the Spanish Steps. Leonardo da Vinci Fiumicino International Airport is approximately 33 km and Ciampino Airport is 17 km from the hotel. 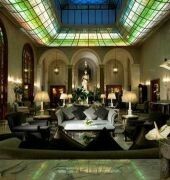 The GRAND HOTEL DE LA MINERVE is a Tourist, Pet Friendly, Art Decor, Traditional, Business, Honeymoon hotel. Located in City Centre area. Shopping is within walking distance and the nightlife/restaurants are within walking distance from the hotel. 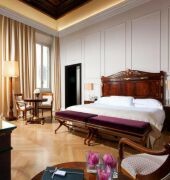 Descriptionclass="small" style="text-align: justify; font-size:11px;">Hotel Invest Italiana Real Estate (Formally Grand Hotel De La Minerve) is a 5-star accommodation housed in a 17th-century mansion in the historical center of Rome overlooking the Pantheon. Guest rooms are air-conditioned and equipped with satellite TV, minibar, electronic safe, WiFi access and a private bathroom with tub and shower. Dining options include 2 restaurants featuring a roof garden serving Italian and international dishes. In addition, the bar offers a variety of light snacks and beverages. 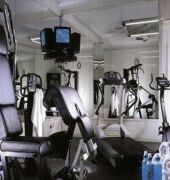 Other amenities include a fitness room and meeting facilities. 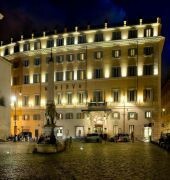 Attractions in the area include the Piazza Navona, Trevi Fountain, Vatican City, Venezia Square and the Spanish Steps. Leonardo da Vinci Fiumicino International Airport is approximately 33 km and Ciampino Airport is 17 km from the hotel.